PORTSMOUTH, VA – In most areas of the country spring is getting ready bloom, the NCAA basketball tournament is in the books, the NBA Playoffs are upon us and Portsmouth is the epicenter of the basketball universe for the week. 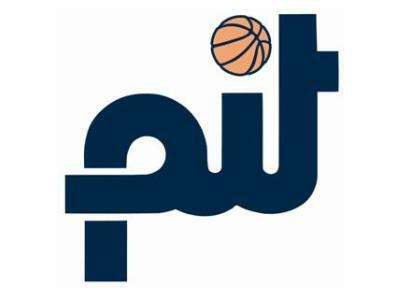 That means the 62nd annual Portsmouth Invitational Tournament is here and has a huge congregation of NBA GM’s, scouts, assistant coaches, European and Asian pro league personnel along with several hundred players agents and basketball scouting services. The PIT is an annual rite of passage for 64 of the top college seniors in the country in their quest to get to the professional basketball ranks. Players such as John Stockton, Rick Barry, Dennis Rodman and others have showcased their talents over the years at the PIT. There has been eight players from the 2013 PIT that have been on NBA rosters this season including Devin Booker, Ian Clark and Brandon Davies. Most of the other 56 players from last year are either playing professionally overseas or are applying their trade in the NBA D League, all with a chance to develop into future NBA players. The beauty of the PIT is that it is pure basketball talent and skill that is showcased. It doesn’t matter where the player played in college. There are are invitees from NCAA Division I (high majors, mid majors) NCAA Division II and NAIA participants. The pro basketball scouts don’t care where you came from, just where you are headed in your basketball career. The players at this PIT cover every avenue of collegiate basketball. Niels Giffey of National Champion Connecticut is here playing for a professional job, down to Division II Central Washington’s Mark McLaughlin and everywhere in between. Oakland University’s Travis Bader, who is the most prolific 3 point shooter in NCAA DI history is turning heads this week with his performance. Andre Dawkins from Duke is getting a lot of attention as well. Not so well known players like North Dakota State’s Taylor Braun is moving up as well. He engineered the Bison NCAA tournament win over Oklahoma. De’Mon Brooks (Davidson), Josh Davis (San Diego State), Jamil Wilson (Marquette) Markel Starks (Georgetown), James Bell (Villanova), joe jackson (Memphis), Juvonte Reddic (VCU), Shawn Glover (Oral Roberts), Eric Atkins (Notre Dame), Langston Hall (Mercer), Jordair Jett (Saint Louis) and Fuquan Edwin (Setan Hall) are among the NBA hopefuls proving that they can make the pro transition. The path to professional basketball is a long and winding road for most players and that process starts with annual PIT.